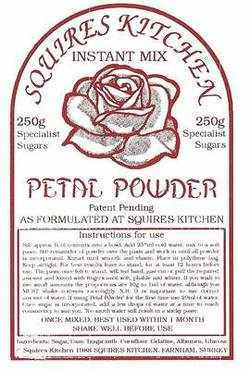 A gelatine based flower paste which is used to create fine sugar flowers. It can be rolled wafer-thin and worked to the finest forms and details. Once mixed it can be frozen if well wrapped.